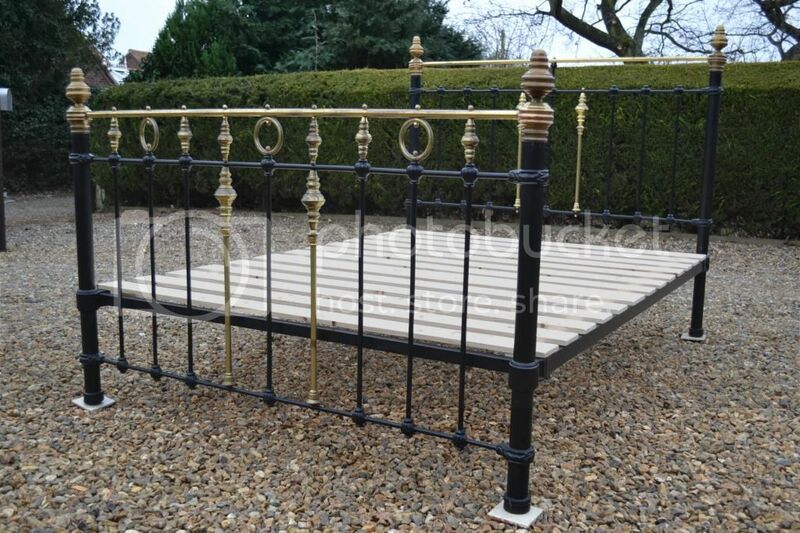 Code BA221 Victorian king size 5ft bedstead and new pine slatted base. 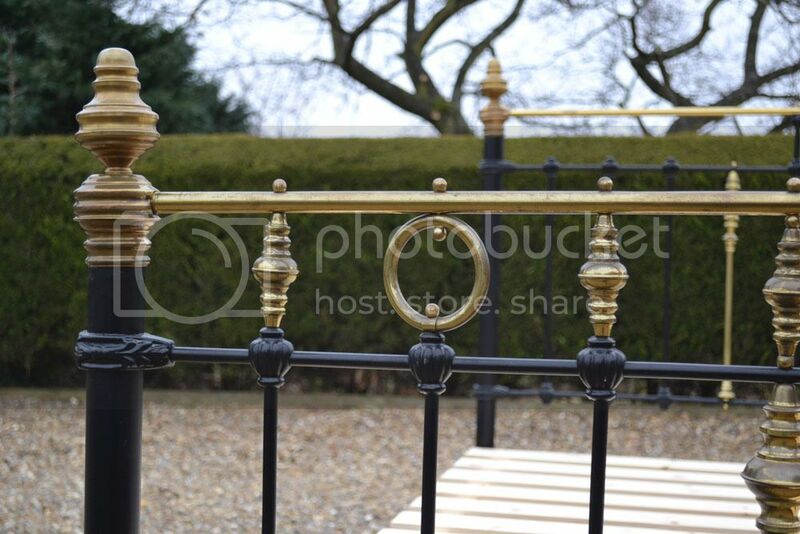 Fully restored around 10 years ago for the previous owner and well looked after. 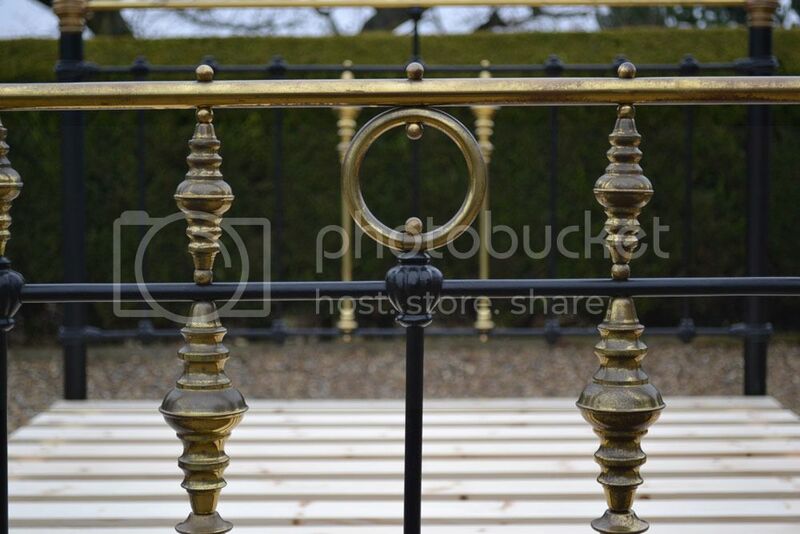 There are a few marks and chip to the paintwork consitent with age and the brass has mellowed down with age.. 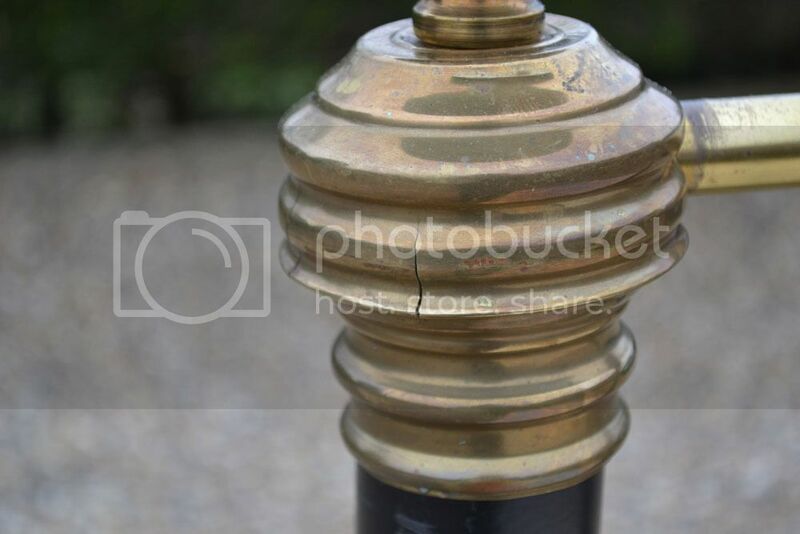 There are a few small splits in the brass under knobs ( see photo) most of these face the wall on the head end . 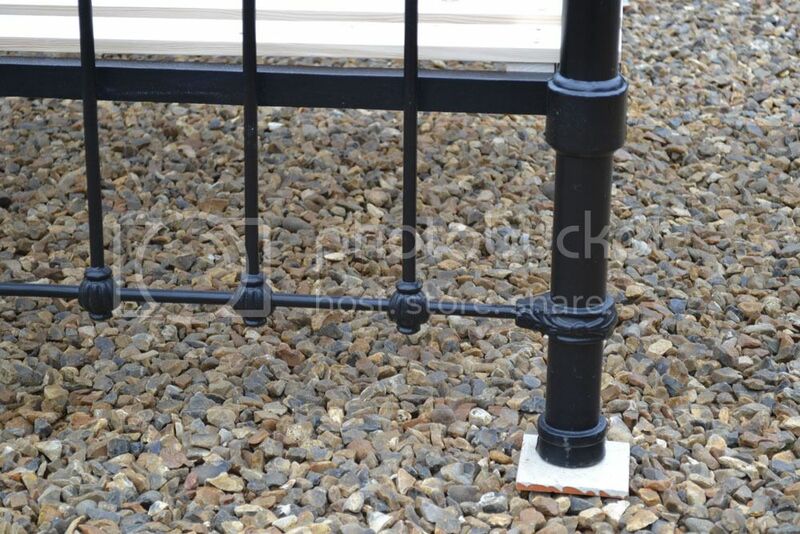 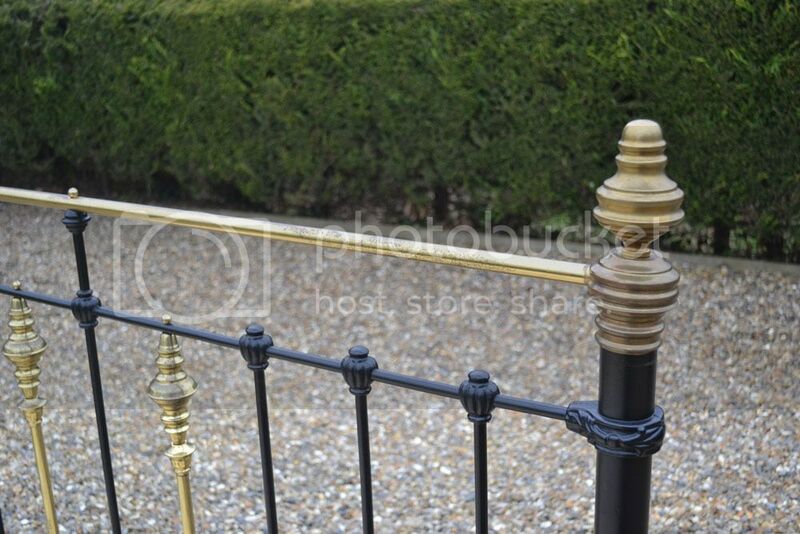 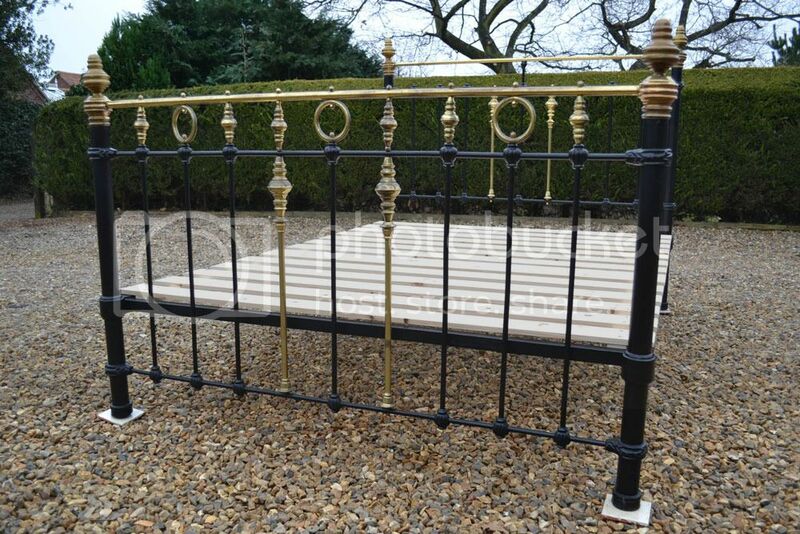 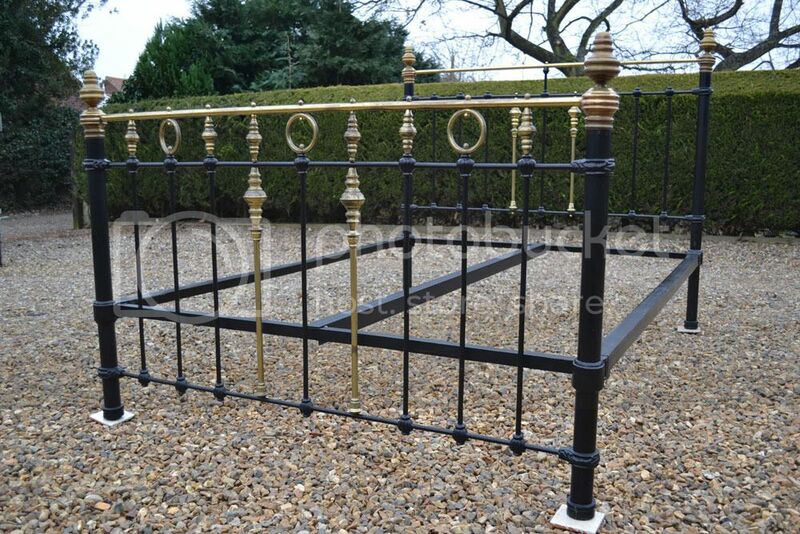 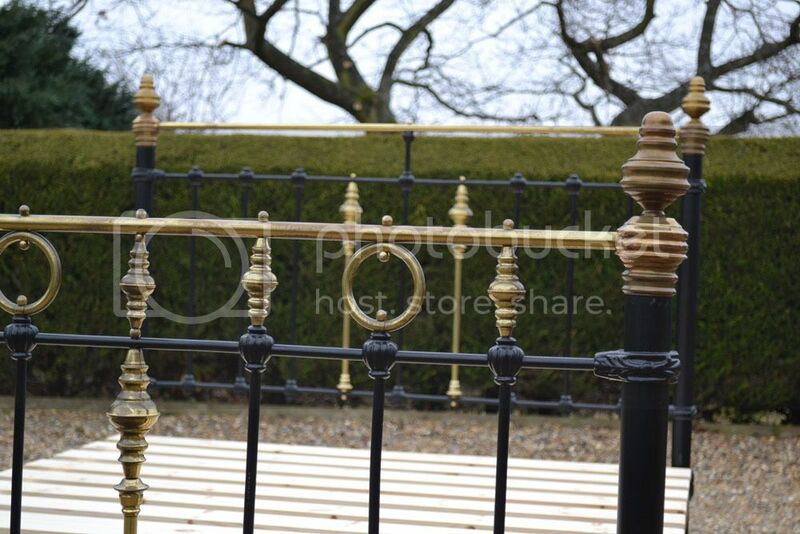 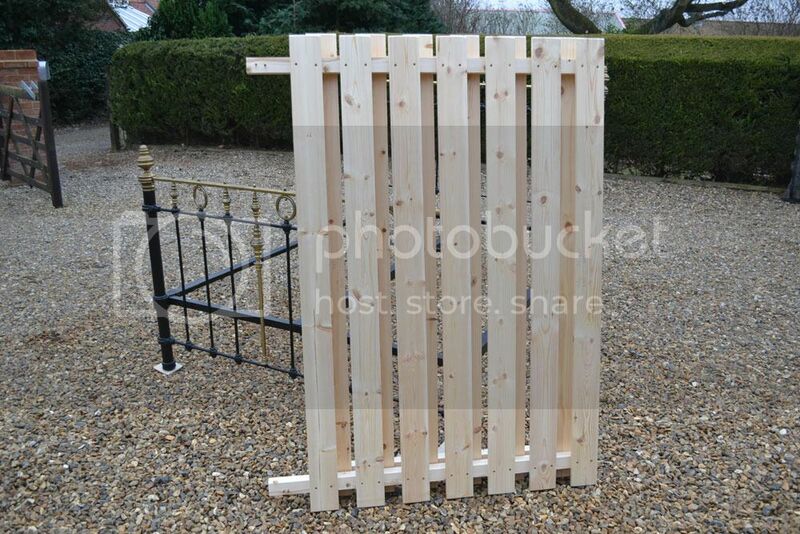 Price ... £695 including new slatted base and centre steel rail .